Personal insurance is all about giving our clients the peace-of-mind that can only come from knowing that their financial future is secure and their family is protected. With this in mind, the relationship we build with our clients, and the recommendation of cover that is appropriate to your circumstances is at the heart of everything we do, so we take the time to get it right. 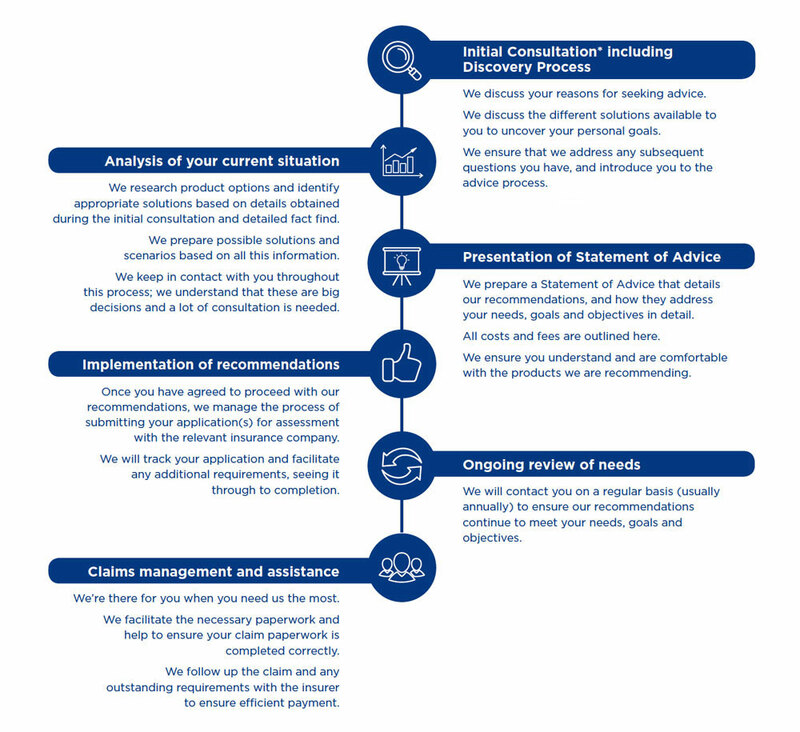 Below is an outline of the steps we take, in consultation with you, to assist you to achieve your personal and business insurance goals.